Air handlers are indoor units that are usually combined with heat pumps to create an all electric heating and cooling system. 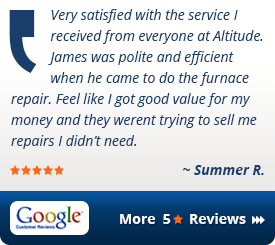 We take the worry out of choosing the right air handler for your home. 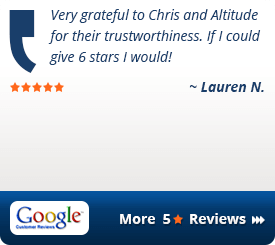 We’ve built a reputation in Denver as the heating and air company company you know you can trust. 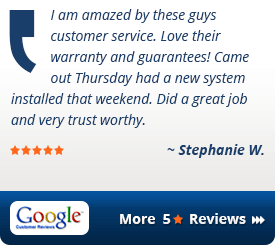 Just ask any of our customers. We can even find the lowest monthly payment option available so you can get a new, high-efficiency air handler today - without putting a dent in your savings. Our financing partners have programs to fit every situation. To learn more about financing please click here. Call us at 303-505-3406 for a free replacement estimate, and we’ll help you get the best financing with low monthly payments on a new, high-efficiency air handler today. 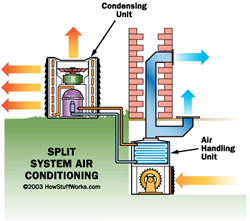 Air handlers house evaporator coils and blower motors that move air through the coils and into your home. Typically air handlers have electric heat strips to match your home's needs during the heating season warming the air and delivering it via your home's duct system. When talking about a variable speed air handler, we’re speaking of the motor that controls the air handler’s fan. In a non-variable unit, the fan is either on full-speed or off. A variable speed air handler, on the other hand, is constantly running and transitions gradually from low and high speeds, depending on how much it’s needed. Even though a variable speed air handler is constantly running, it is usually doing so at a low level. This saves energy because your system doesn’t have to constantly turn on and off, and it spends much less time wasting energy at the highest level. An air handler is at its loudest when it’s turning on and off and when it’s running at high speeds. A variable speed air handler avoids this by constantly running and only running high when it needs to. he various fan speeds of a variable speed air handler make it much easier to maintain a consistent temperature in your home. 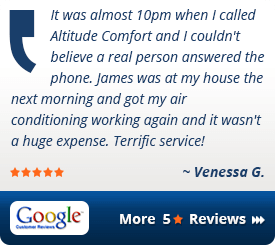 Instead of being blasted with hot or cold air, conditioned air is delivered gradually and consistently.